No work tomorrow and a three-day weekend? Sign me up! I love it when 4th of July falls on or next to the weekend! It's always so great not having to worry about getting up early the next day... we can stay out as late as we want and let the kids go to bed late without feeling guilty. 4th of July is my favorite summer holiday and I've always loved the red, white, and blueness of it all. When I was a teenager, I always loved going to Old Navy to load up on all of their 4th of July goodies... they have the best tanks and tees! I think I bought one every year in my late teens and early twenties. So in honor of my favorite summer holiday, I thought I would round up my favorite red, white, and blue inspiration. 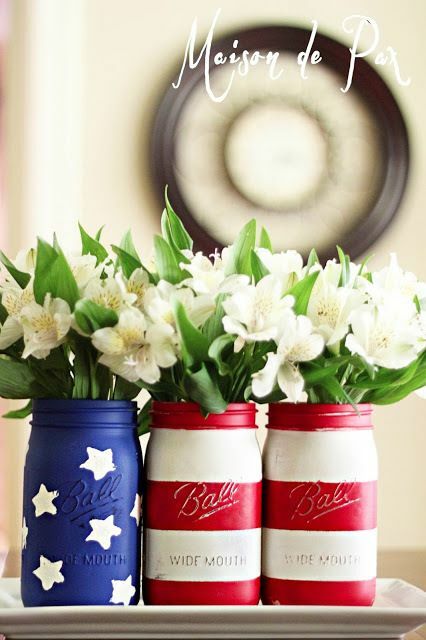 Favorite Festive DIY Project - these American Flag mason jars via Liz Marie Blog. I've never decorated much for the 4th because we already have too many holiday decorations and no place to store them, but now that we're adding a giant closet to our house, we will have tons of room for storage. Next year I plan on doing it up for the 4th and I am definitely making these. 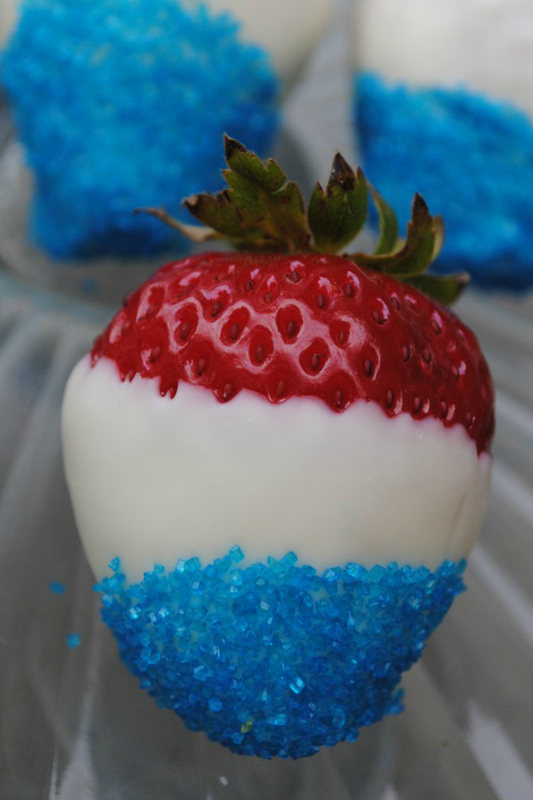 Favorite Festive Food - these 4th of July Strawberries via The Sister's Cafe. Don't they look amazing? 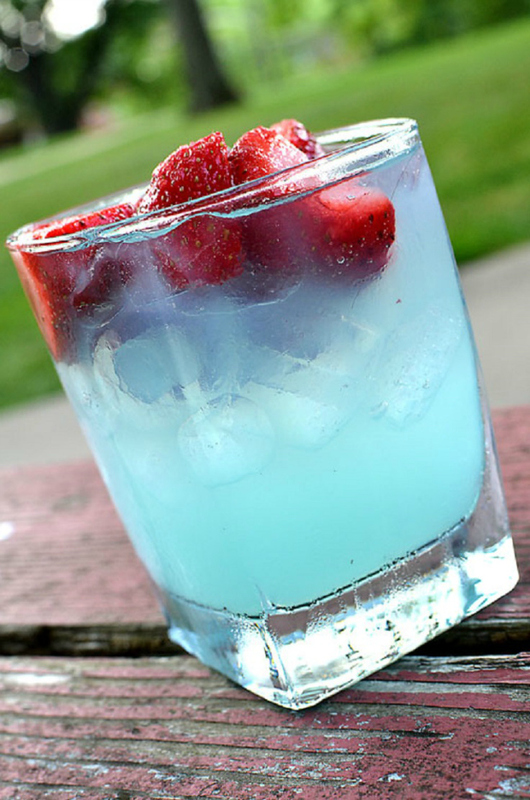 Favorite Festive Cocktail - this HPNOTIQ Cocktail via Girl Likes to Eat. I'd like to toss back a few of those this weekend! They look so crisp and refreshing! 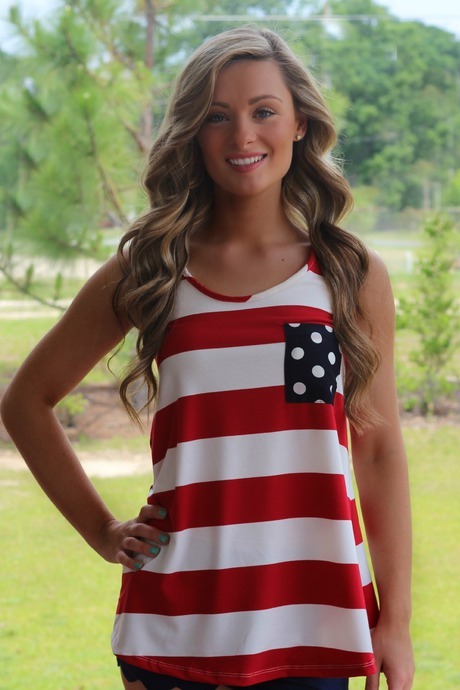 Favorite Festive Outfit (for me) - this America tank top via Lavish Boutique. This will be in my closet for the 4th next year! The bow on the back is just darling. 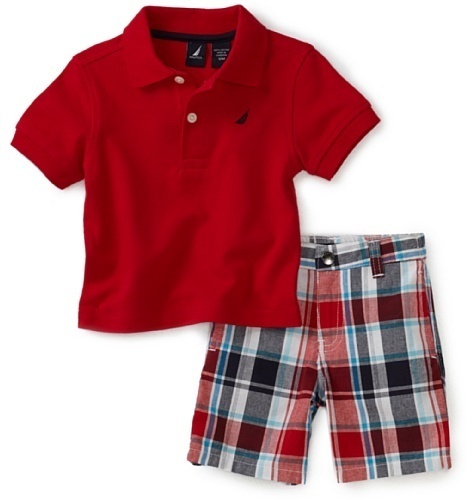 Favorite Festive Outfit (for Jacob) - something similar to this Nautica set via Amazon. 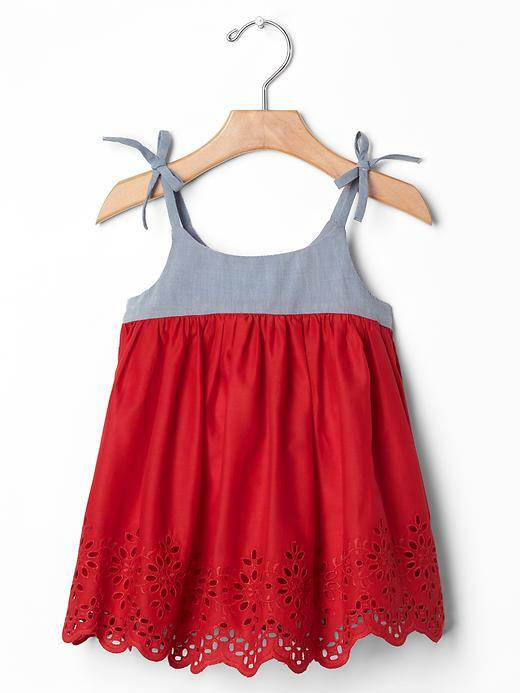 Favorite Festive Outfit (for Olivia) - this eyelet dress via Gap. Seriously, I die. I hope you guys have a fun, safe, and festive 4th!! Love the strawberries!! I made them one year and it was so much fun! I made them this year, too, and they turned out great! I couldn't find any blue sugar, so I just made my own and they were so pretty! I so want that drink! And those outfits for the kids?! Adorbs!! Have a fun and safe 4th! Thanks, girl! We did, and I hope you guys did, too! I love that shirt! Too cute! I made the strawberries and they were gone before I could take a picture. Haha! Love the mason jars, too! Thank you! I did end up making the strawberries and they were divine! I made sure to take pics before we got to our party, and I'm glad I did because they were gone super fast!